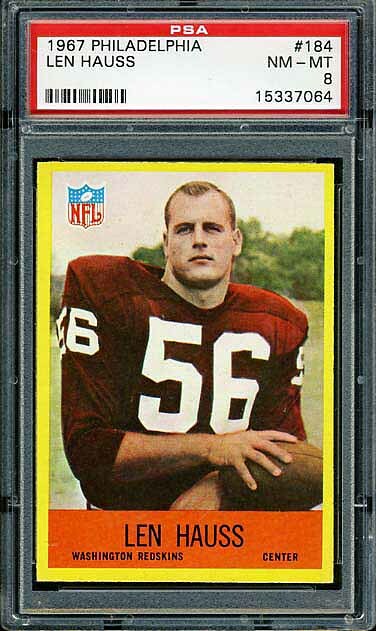 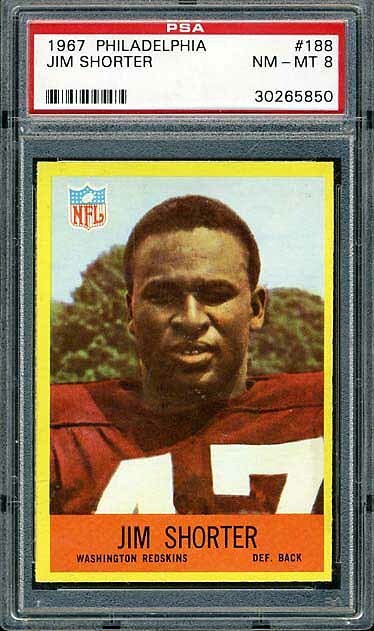 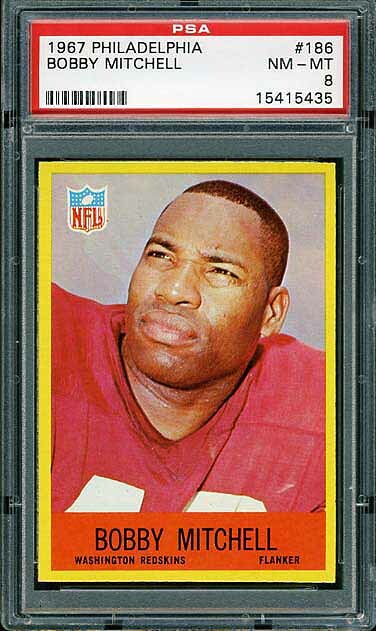 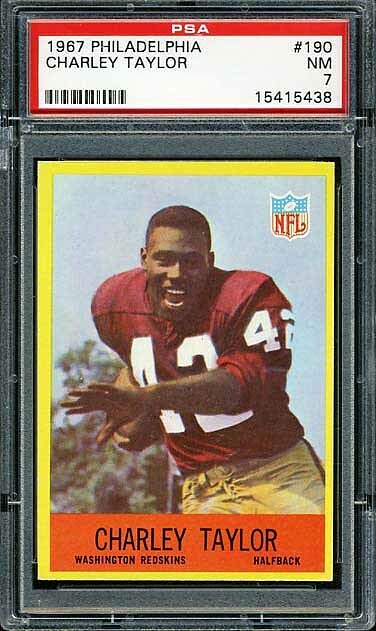 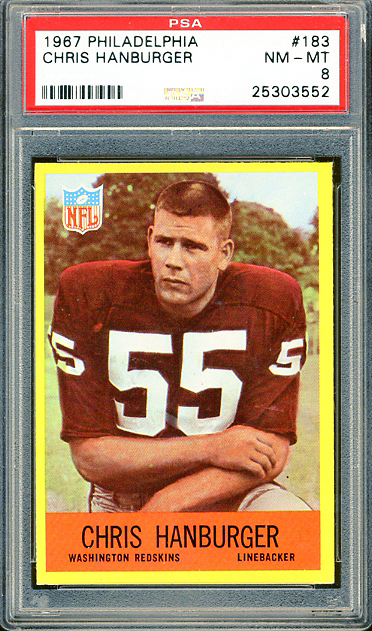 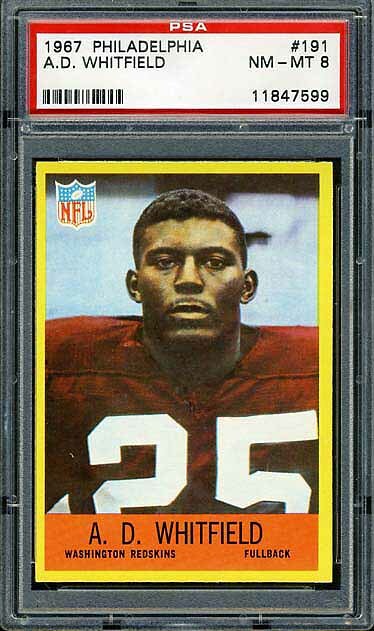 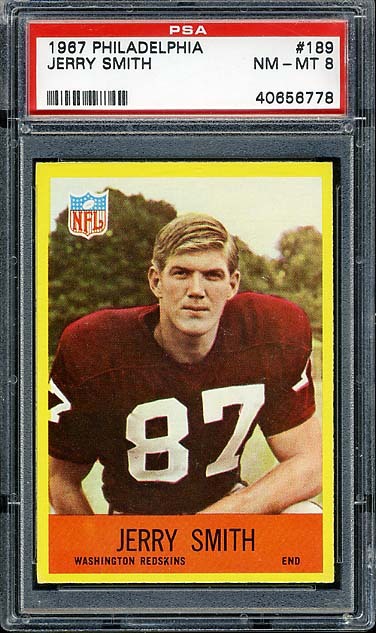 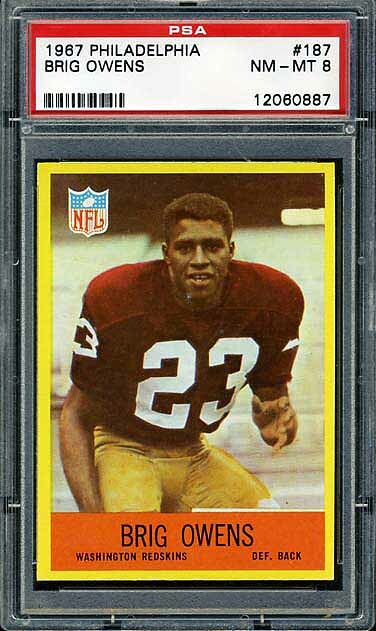 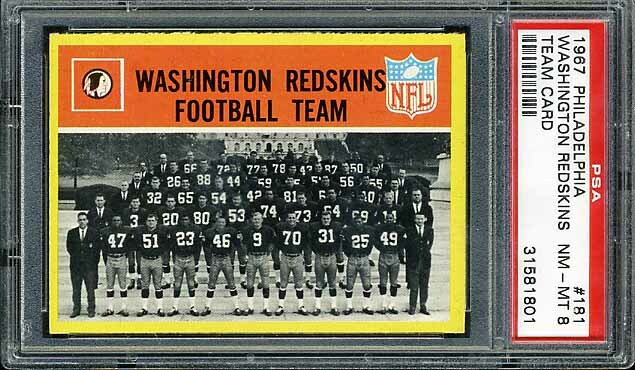 The complete 1967 Philadelphia Redskins team set is shown below. 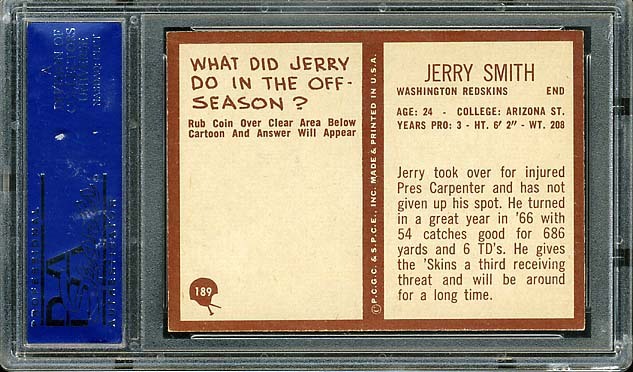 Off all the Philadelphia sets the 1967 set is probably the most difficult. 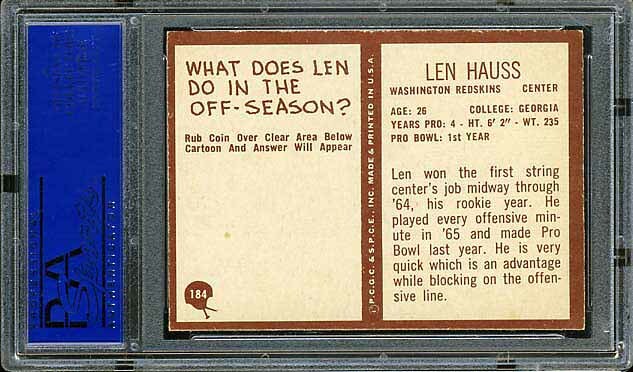 This set features the rookie cards of Chris Hanburger, Len Hauss, Brig Owens, and Jerry Smith. 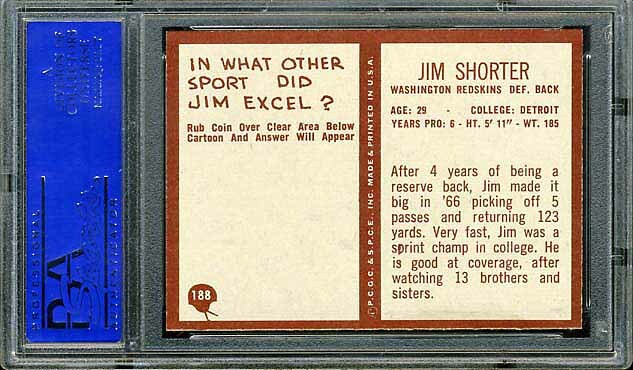 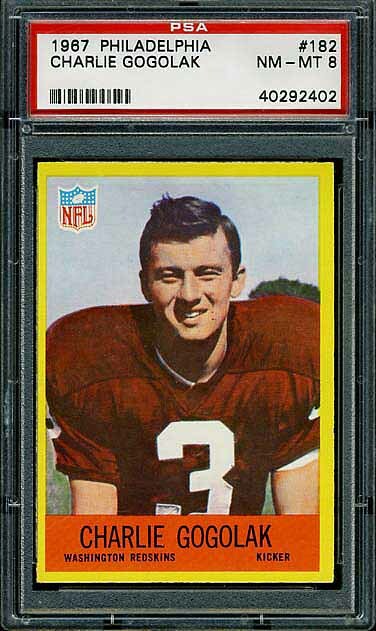 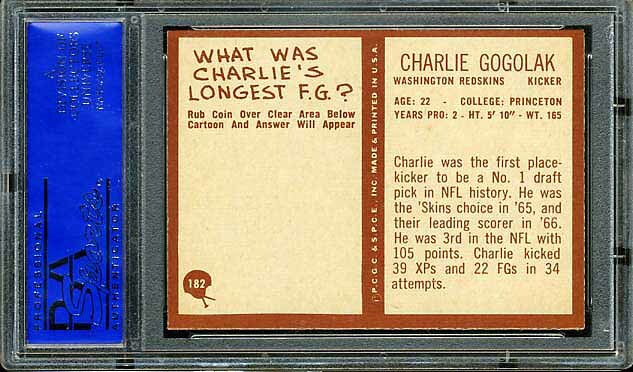 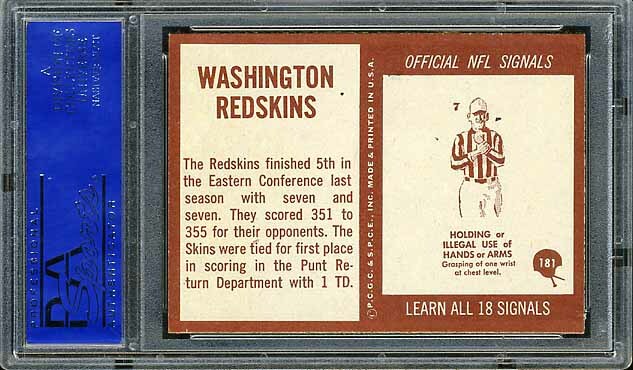 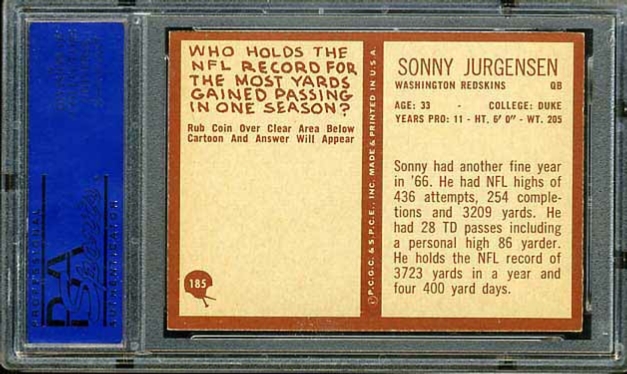 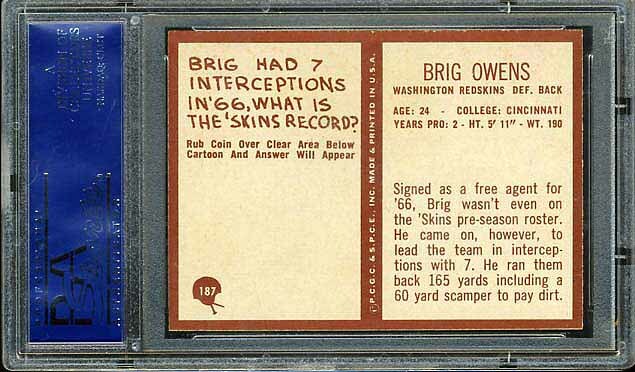 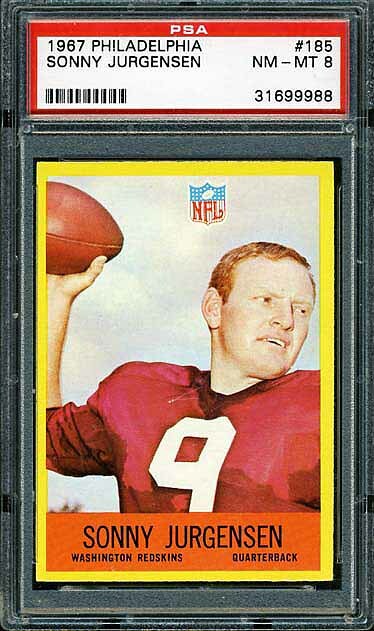 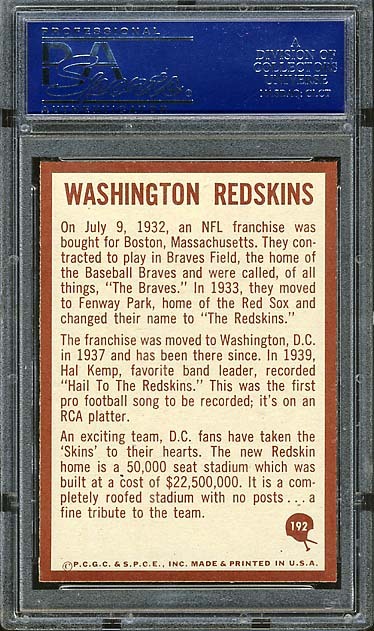 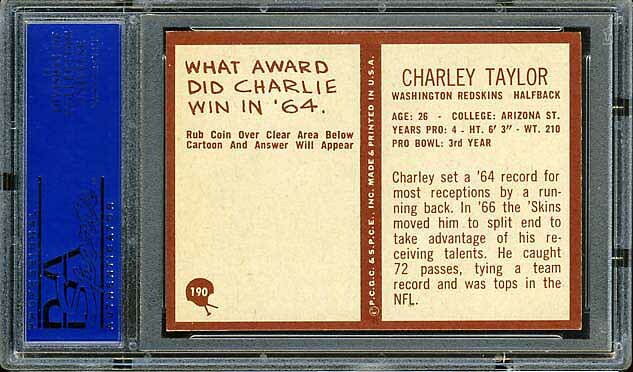 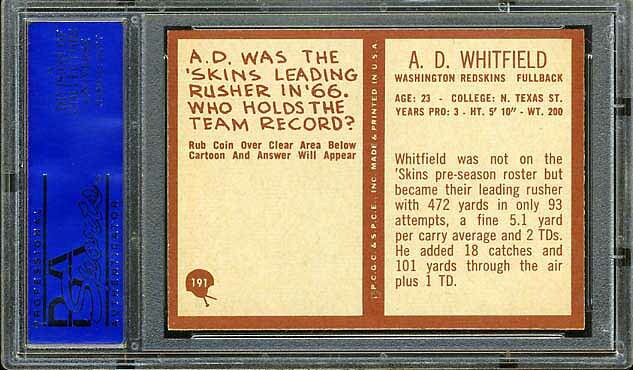 This is a very important set for Redskins football card collectors. 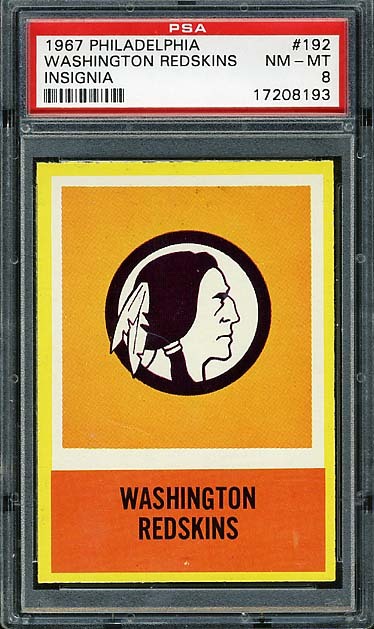 This combination of rookies plus the veterans that are coming will form the basis of the Redskins resurgence in the 1970’s.